I had the surprise of my life when I took the first sip of this wine. I unscrewed the cap, I poured some of the wine in the glass and then I took a swig. I was shocked that this was white wine. It comes in a dark green bottle so the colour is not prominent. I did not read the label that clearly stated that it was white wine. I did not look at the glass as I poured as I was watching the Cowboys lose. It is white wine. It is un-chilled. It is cheap as hell. It claims to be extra dry and it might be but it has a great deal of fruity flavours – it really tastes like a weak apple juice that is about to go off. I was looking forward to a red wine to test but here I ended up with a not-bad white. For the price, this wine will do. 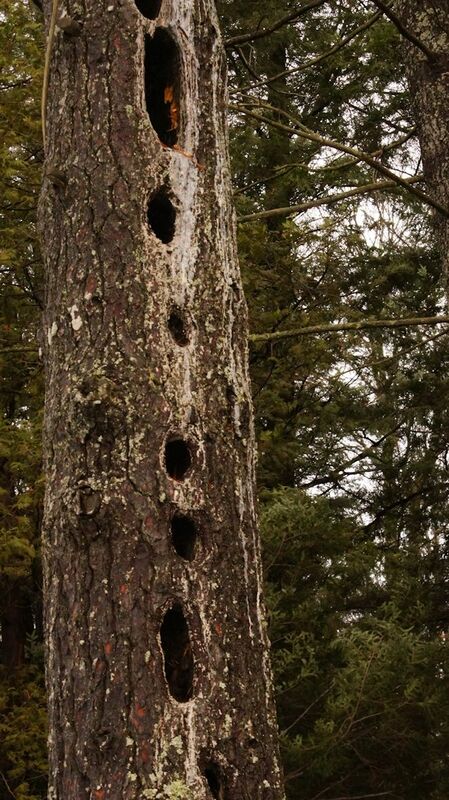 Lot`s of holes in this tree, but I did not see anything living in it. I guess whatever did live here went to warmer climates for the winter of found more appropriate accommodation. Not much really to say about this album except I put it on the record player about four days ago and have been listening to it non-stop. This is a live album but you can’t tell because there is no audience noise. No one yelling, “Whoo-Hoo,” during the quiet parts. And the music does flow organically from very subtle delicate instrumentation to more rhythmic and industrial sound. While the primary instruments of this trio are keyboards and synthesizers it is quite astounding how smooth and rich the sound is. This has a lot to do with the electronic instrumentation being analogue and not digital. The electronic manipulation was done through wires, transistors, capacitors and other tiny electronic bits. It was not all programmed onto a microchip. The sounds are lush and melodic. As I was listening to this album for the umpteenth time, I searched for it on the Internet. I rarely do this. 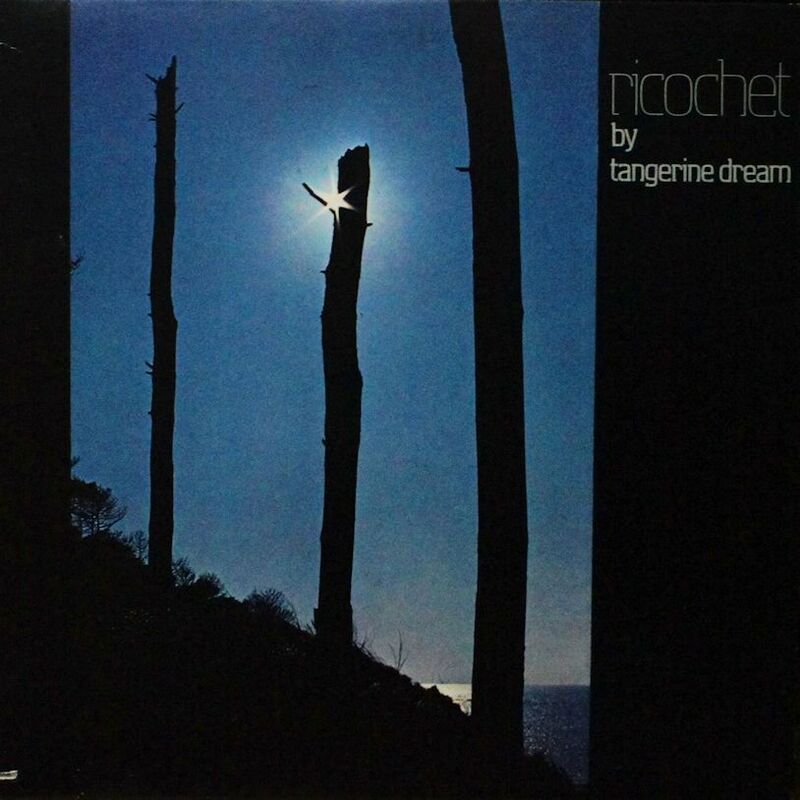 The Tangerine Dream Facebook page stated that December 23rd was the 39th anniversary of this album making it to the UK charts. That’s quite coincidental in an insignificant way. This album is not insignificant. It is great. I don’t like spilling out wine… but here I sit and look at this bottle with a sickly sweet taste in my mouth and am considering all options. Drinking more of this wine is down on the list. I bought this bottle in Las Vegas. I love the label – still do. After cracking it open and taking the first sip I realized that I was fooled by the label. I was enticed by the red, white and blue motives. I was seduced by the six jets blasting off into the blue yonder – they are F-16s I believe. I was blinded by the fact that it was Italian wine. I would have bought the bottle if it was made most anywhere just because of the label. The first impression is that this wine is fizzy. I’m Ok with that. But then the fizziness is overtaken by the sweetness. This is cream soda sweet. This is cotton candy sweet. I’ve had a glass-and-a-half and I feel the need to brush my teeth lest the sugar in this wine dissolve the enamel on my teeth. The only question I have about this wine is whether pouring this wine down the drain can be considered hazardous. What a bizarre week… There are several really big conflicts going on in the world, the one in Ukraine and the one in Syria/Iraq. But this has been hijacked by so many other things. In the US there is a frightening specter of violence as several high profile slayings of unarmed African-Americans have gone unpunished. And now some lunatic has gone and shot two New York cops. So much for having a reasonable discussion on race and violence – the lines have been drawn and everybody is backed into their corner. Then we have North Korea… and Sony. A silly movie has offended the North Korean regime and they have apparently hacked Sony’s servers. Sony pulled the movie. So much for free speech and standing up to toothless bullies. Russia is mired in an economic crisis of its own making. The falling oil prices has added to the sanctions imposed on Russia for invading and occupying Ukrainian territory. There’s no going back as the guy in the Kremlin is blaming everybody else but his own corrupt regime for the economic problems. Oh, and there were a few horrible massacres as well. Ebola is still around. Last week was quite busy. A fitting end to 2014, I just hope that there are no more surprises next week. 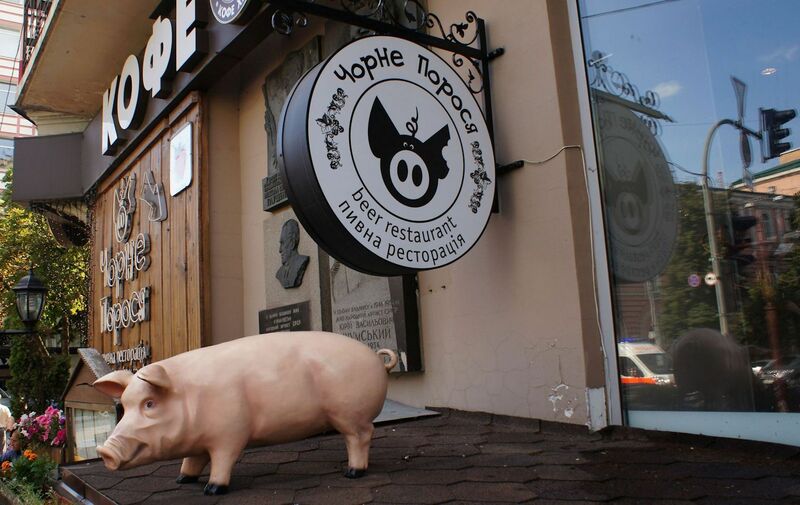 Walking in downtown Kyiv, I spotted this “beer restaurant” called the Black Piglet. The sign was right – but the white (pink) piglet in front of the place confused me. It was rather early in the day and the place was not opened. Otherwise I would have gone in … and ordered a tequila. My reaction on pulling this album out was one of incredulous surprise. “I own a Bette Midler record? !” This was a surprise to me. The record itself has a stamp and I realised that I must have bought it years ago as a whole collection when a disk jockey I knew was selling his albums. Well here you go … I’m listening to Bette Midler and the piano is being played by non-other than Barry Manilow. I had just seen Mr. Manilow on the final episode of the Colbert Report. He also sang backup, played some percussion, arranged and conducted the music and was one of the producers. Busy guy that Barry. Ms Midler has a really good voice. It is very good. This is her real voice as this album was recorded much before any studio trickery was present to enhance the vocal shortcomings of “star” singers. Yet the music does not move me. 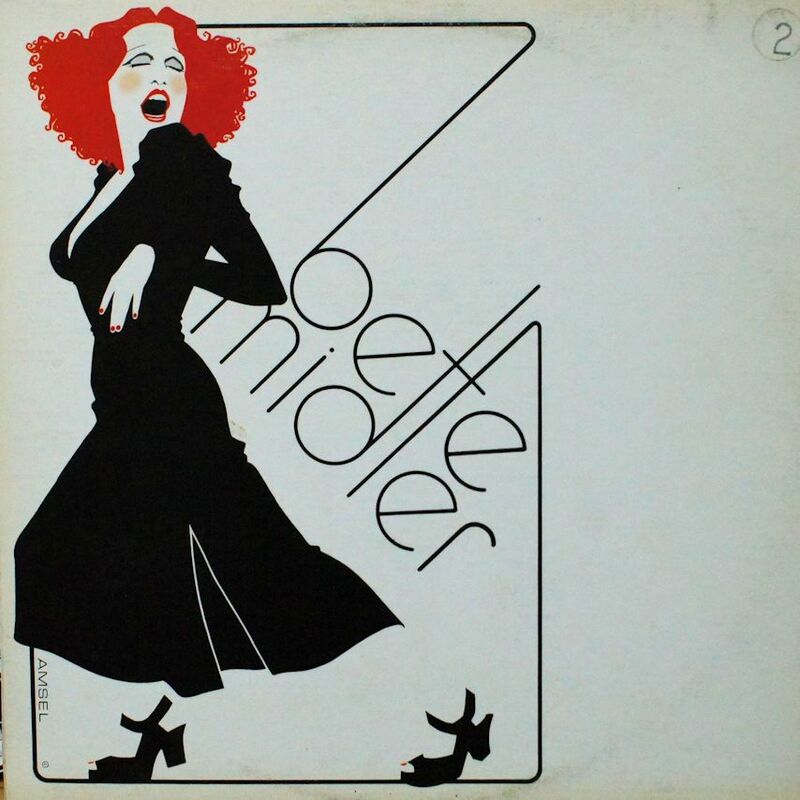 Case in point – Midler does a version of Dylan’s “I Shall Be Released”. It is very seventies, over the top and grandiose. I hated it. This is the first time I listened to this album – and probably the last.